This image from NOAA is too often used to mischaracterize what marine debris looks like in the open ocean. Not a shot of the open waters of the Pacific, this is instead a shot of Hanauma Bay, Hawaii, where materials from land have been concentrated by winds and currents to form what is admittedly an awful mess. We need to shape our communications to lead the reader to think “how cen we keep this mess from leaving the land and ending up n the water?” rather that “gee, that’s interesting…I had no idea there was that much junk in the Pacific” if we’re going to tackle the marine debris problem. The fact that plastic materials can be found in lots of places is sadly the emphasis of many of the articles on marine debris, and the stranger and more remote the place, seemingly the better. Research on the impacts of plastic materials, which are varied in size and chemical composition, lags far behind the work on simple detection. We know, and for some time have known, that plastics, large and small, are found in many, many parts of the world’s oceans. What we need to spend time on (and time means money) is the impact of what we’re finding. Without a better understanding of the impacts a maximized plan to attack the most harmful sources first and with greatest effort is more or less guesswork. And so far we’re not doing well focusing on those things that we do know are harming marine life. There’s not a complete absence of research – for example the Italians are doing some interesting work on impacts to whales in the Med from ingested plastic – but this field is research in still in its infancy. When it’s easier to get funding and political support to go on a cruise to tow a plankton net that to tackle marine debris that we know harms wildlife (derelict nets and certain tire reefs, for example), or to get robust funding for the research to tackle the impacts we poorly understand, there’s a good chance that we’re not tackling this rationally. Similarly, when the media focus remains on distant blue waters, which make for interesting photos and stories I agree, and less on the less charismatic solid waste disposal problems on land (proper disposal and handling of wastes, stormwater management, etc.) we’re inclined to look for solutions from NOAA, who has little authority or ability to stop the plastic from entering the oceans. We should look to the U.S. EPA which regulates solid waste, or the multitudes of states and localities who set policies and manage local waste disposal, recycling and stormwater which might be able to actually reduce the flows of plastic into rivers, lakes and oceans, rather than looking solely to NOAA which the U.S. Congress has given neither the funding nor the legal tools to tackle the problem in proportion to its scale. It is time to move on from “hey look, I found plastic in a far off place!” to “why in the world don’t we have robust recycling programs in all populated parts of the U.S.?” and other issues that surround tacking the problem of waste across the board. The author of this blog is a scientist by training and the owner of W.H. Nuckols Consulting, an environmental policy, government relations and strategic communications firm in Washington, DC. The first attack in the 113th Congress on President Obama’s ocean policy, which include strengthening regional partnerships through the assistance of federal grants, was filed by ongoing opponent to the President’s National Ocean Policy, Rep. Bill Flores (Republican from a landlocked district in Texas). Rep. Bill Flores, former oil and gas driller from the Waco, TX area consistently opposes anything that is related to the President’s National Ocean Policy. His amendment to the Hurricane Sandy Relief strips 150K in funding for regional ocean partnerships. The votes for and against are listed below. On Monday afternoon of January 28, 2013, the Senate plans to take up the Disaster Relief Appropriations Act, 2013, with only one amendment expected to be introduced – Republican Senator Mike Lee of Utah has proposed an amendment that would offset the $50.5 billion in emergency aid (lawmakers are expected to reject that amendment), allowing final passage of the Senate bill later Monday night. No Senate amendments to oppose the House language and reinstate the Regional Ocean Partnership grants are anticipated. Rep. Bill Flores represents the 17th Congressional District in Texas, an area south of Dallas that includes Waco and College Station. His dogged opposition to President Obama’s National Ocean Policy seems odd, given his district’s geography, until the fact emerges that in 2005 prior to coming to Congress Flores served on served on board of Phoenix Exploration Company, Marine Drilling Companies, Inc. Offshore oil drilling companies generally prefer the status quo, and as such oppose President Obama’s efforts to create a system that rationally and openly determines which of the conflicting offshore uses are most in the national interest. When looking to the motivations of those who oppose changes to the current first-come-first-served irrational way we currently permit offshore uses in the USA, allegiances to the traditional users (extractive industries such as oil and gas production or mining) or the new users (green energy such as wind and wave power) of the coasts are worth examining. *the original article headline mistakenly indicated a $150K cut in funding, while the article noted correctly the cuts were $150M. The headline has been corrected to match the content of the article. AUTHOR(S): Flores of Texas Part C Amdt. No. 2 to Frelinghuysen of New Jersey Amdt. 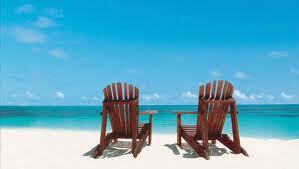 A policy for the U.S.’s oceans and coasts: the Obama plan vs. an empty (beach) chair? Where do most of the people live in the United States? Coastal states. What part of America has played an indispensable role in America’s economy since colonial times? The oceans and coasts. So even with just those two reasons alone how could any politician make a run for the Presidency without taking the time to put forth careful thought about how to address our oceans and coasts and their resources which are so important to America’s well being? EMPTY BEACH CHAIRS. Where was the Romney-Ryan campaign when they were asked about their plans for managing our oceans and coasts? Weeks after the Obama Campaign responses detailing its plans, Blue Frontier Campaign founder David Helvarg did his best to guess what Mitt Romney would do based on the Governor’s history in Massachusetts. Barack Obama’s campaign released a statement about its intentions regarding oceans and coasts for its second term – hardly a surprise given the Obama Administration’s early commitment to establishing a national ocean policy early in the first term, but surprisingly, while they were given many weeks to match the Obama campaign with a response of their own, the Mitt Romney campaign never produced a policy statement on this important part of the nation’s public policy. The Blue Frontier Campaign, whose mission it is to bring together the approximately 2,000 “blue groups” and agencies it says work on ocean and coastal conservation, sent an inquiry to both campaigns this fall, but only Obama’s Campaign responded. 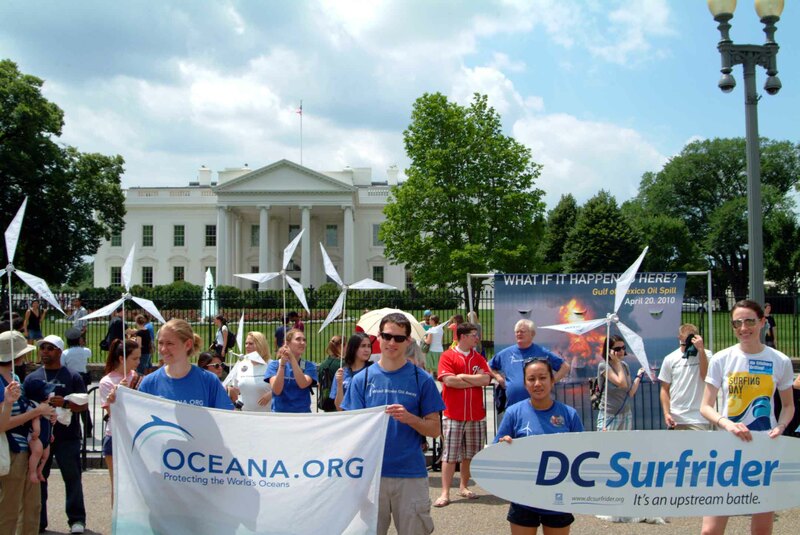 The inquiry entitled “60 Ocean Leaders call on President Obama and Governor Romney to protect the Blue in our red, white and blue” can be found at THIS LINK. David Helvarg, author and founder of the Blue Frontier Campaign, does an admiral job working to guess what policies might Mitt Romney put forward, based on scant information from the the Governor’s policies in Massachusetts and a few blurbs from Campaign speeches. Does Mr. Helvarg get it right or do the Massachusetts policies on things like marine spatial planning (deciding what activity goes where offshore) mean little if Mr. Romney goes to D.C.? I’ll leave it to the reader to sift through those tea leaves on their own, but what is clear is that Romney’s campaign did little to make a first step into national policy area concerning our oceans and coasts when they failed completely to express an opinion at all in the 2012 race for President. Mr. Helvarg’s Blue Frontier Campaign press release is included below in its entirely. The Obama Campaign’s response to Mr. Helvarg’s inquiry is included in the release. Obama and Romney speak out on America’s Ocean. In Tuesday night’s debate America’s environment and climate crisis went unnoted as did our largest wilderness frontier and a major driver of our economy, our public seas. America’s ocean waters that provide recreation, transportation, trade, energy, protein and security were mentioned only in the context of offshore drilling. The letter’s signatories have gotten a response from the Obama campaign but to date have not received an expected one from the Romney campaign. However several of the Governor’s positions can be ascertained based on his public record. “President Obama is committed to ensuring that our nation’s vast natural resources are used responsibly, and that we maintain healthy oceans and coasts. By establishing a National Ocean Policy, he made it a priority of the federal government to ensure a proactive approach to improving the conservation of the ocean, our coasts, and the Great Lakes. Governor Romney has also spoken about his approach to America’s ocean waters first as Governor of Massachusetts and more recently as candidate for President. As Governor of Massachusetts Mitt Romney pioneered legislation making it the first state in the nation to put in place a comprehensive statewide planning process to assess new projects proposed for state ocean waters. He noted the critical need to safeguard the state’s coastal waters from unregulated new uses, noting significant gaps in state and federal authority to permit offshore uses and lease open space. “The only way to protect our beautiful ocean environment is with comprehensive ocean zoning reform,” he said. He created an ocean management task force in 2003 comprised of a broad range of stakeholders, including environmental groups, regulators and the fishing industry. The author if this blog is a scientist by training and the owner of W.H. Nuckols Consulting, an environmental policy, government relations and strategic communications firm in Washington, DC. A storify compilation of the live tweets from the meeting begins to tell the story of the range of issues that need to be considered when governments, academia and industries think about the debris at sea coming from the March 11, 2011 tsunami that rocked the coast of Japan. The author is a scientist by training and the owner of W.H. Nuckols Consulting, an environmental policy, government relations and strategic communications firm in Washington, DC. Today around the world at noon local time groups are coming together to join hands in a statement of solidarity against further offshore oil development and for green energy as an alternative. At at least one of the “Hands Across the Sand” events there were scores of protesters but the beach was more than an hour away. In front of the White House, organized by a local chapter of Surfrider and the Oceana ‘s DC office, scores of people came out on a sunny Saturday to hold hands with like-minded people to send a message that the status quo where the major emphasis offshore has been drilling our way to energy independence. Stretching out for more than a city block people joined hands in front of the White House gates and shouted protest chants. When people chanted “clean energy now” apparently, from the mock windmills many people were holding, green energy means offshore wind – an option that while theoretically aided by Secretary Ken Salazar’s Smart from the Start initiative, is still slow in coming online in the U.S.
One thing that is clear from today’s Hands Across the Sand events is that support for protecting our oceans by limiting offshore fossil fuel extraction and promoting alternatives – sometimes called blue-green energy – have wide geographic support. In states such as Florida and California this wouldn’t be much of a surprise, but when you look at Hands Across the Sand’s lineup of events occurring today you see places where people are linking up at locations like the great coastal states of Colorado, Wyoming and Missouri. Not your typical places for protests about issues that are too often seen as important to only those who live on the shoreline. But the reality that many people enjoy having healthy coasts, whether through vacations to coastal destinations or simply back home through the pleasure of consuming healthy seafood, and that those same people are not pleased with ongoing plans to develop the offshore US with additional oil and gas extraction. But don’t focus too much on this being solely an issue in the U.S. Take South Africa for example, where earlier today they has their Hand Across the Sand in brisk 15 deg. C weather. You can see the global reach of this expanding grassroots phenomenon at the Hands Across the Sand international site. On July 19th the White House released the Final Recommendations of the Interagency Ocean Policy Task Force Task Force. President Obama is expected to except all the recommendations and instruct the agencies to adopt them in an anticipated Executive Order to be released at a later date. Today the report provided to President Obama authored by the Interagency Ocean Policy Task Force was released by the White House. The report includes recommendations to the President on a course for our nation to establish a national ocean policy. The Task Force recommendations, a little more than a year in the making, are a deliverable of the group, established by the President in an Executive Order in June 2009. The press release announcing the report can be viewed at this LINK and a PDF of the report can be viewed HERE. • Foster a public understanding of the value of the ocean, our coasts, and the Great Lakes to build a foundation for improved stewardship.